Cold drinks for cool kids! The cat's out of the bag. 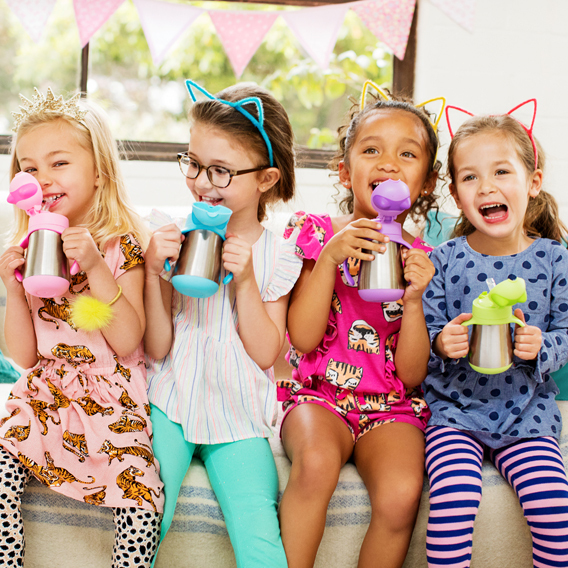 This spill-proof straw cup will keep your toddler's drink cool (or hot) for extended periods of time, making it the perfect companion for home, preschool, and on the go! Made of double walled stainless steel, this adorable insulated cup can keep up to 8 ounces of liquid at the perfect temperature for your little one. The cat ear design will delight them, as will the easy-to-open lid. Quench their thirst with the cutest and coolest cat cup around!